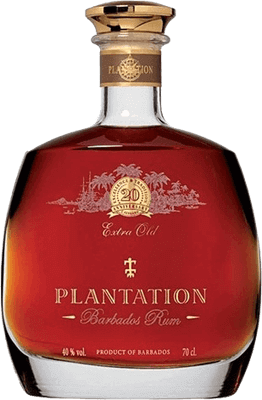 Have you found an online vendor selling Plantation XO 20th Anniversary (old bottle)? 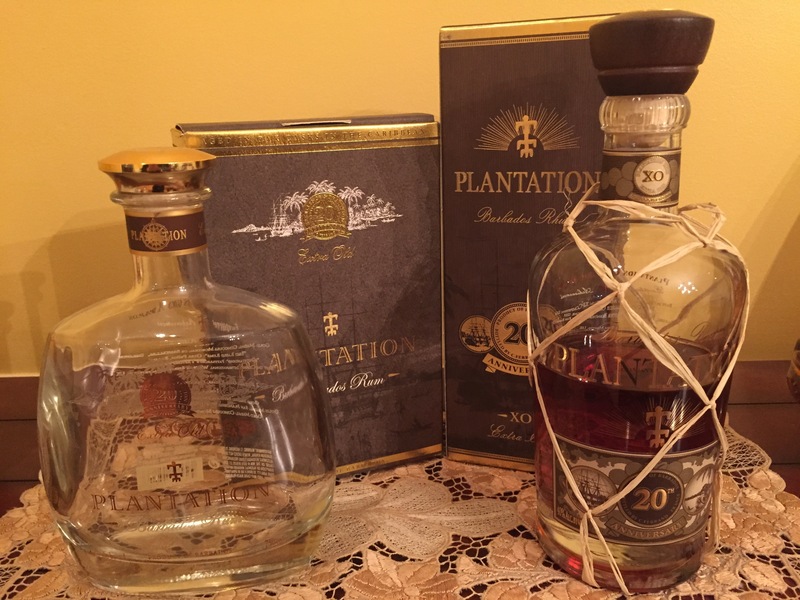 Over a year ago I reviewed Plantation XO from Barbados. I was excited when I found it at a big liquor warehouse. But it was a different bottle and different experience. Sill a very good rum. But not as I reviewed in 2015. Until now I hadn't realized the bottle that showed up in my review cabinet was not what I had reviewed. I'm posting a photo showing both bottles. I'm still not sure what the difference is? Both are 20th anniversary edition. Both are XO but no specific age. Both are Barbados rum. Reading all the reviews of both bottles, it appears that many reviews 'may' be posted under the incorrect bottle design. There's no way to know it, unless you really study the bottle but the details are the same. If anyone has addressed this I haven't seen it. I'll probably start a new forum thread in search of an explanation. The rum I Prefer and gave a 9 to is the shorter, squater bottle without the string/rope mesh around the bottle. The bottle with the mesh is slightly less sweet. It is darker, than the honey gold of the shorter bottle. It doesn't have as much complexity. It's still a decent sipper but falls short of great. Here's my original review. It is for the shorter, squater, empty:-( bottle on the left. This is a very complex rum. It's not overly sweet and through the aging process used it does share some characteristics of Cognac. There is a fair amount of oak for a rum. Vanilla, caramel and I think I'm picking up coconut and even chocolate. There's no burn and a long finish. If you're going to spend the money know your rums or you won't appreciate this as much as it deserves! One of my favorites, very sweet and a very distinct flavor of coconut. Simply really smooth and enjoyable straight up. As far as I can see this is the same as the "Plantation XO 20th Anniversary" found on this site, so I'm giving the same rating on both. Smooth, warm and delicious! Exceptional value. Great neat or an ice cube. This is my first review and based on a tester bottle only but I'm very content! A lovely caramel colour which starts with a very pleasant oaky nose. This fades and is replaced with the cocont that's mentioned elsewhere. I would say that it benefits from getting some air to take away the burn but it doesn't take long to calm done and is an excellent sipping rum with a smooth oaky, caramel flavour with a certain amount of depth. I drank it with an ice cube. It will be going on my Christmas list .. if I can wait that long! Picked this beauty up while in Barbados a couple of months ago. Not sure I have ever sampled a rum aged in french wine casks. In a word, decadent. Insanely smooth from start to finish, not chewy as sweeter rums can be and not gaggingly dry. This belongs on the same shelf with the world's greatest digestifs. I will weep win this bottle is no more. Best sweet rum so far, better than diplomatico reserva in my opinion. Beautiful flavor leaving the mouth feeling sweet. Smooth and sharp at the same time, with hints of tropical fruits accenting the almost dessert-like taste. Was excited to open this little number. Good yes but not great. As a Barbados XO I was expecting greater complexity. I was pleasantly surprised when I first sipped on this. It delivers a heavy tropical hit, not in a dos maderas luxus rich and heavy kind of way but in a fruity coconut, spice and vanilla driven way that is smooth, aromatic and lingering on the palate. A different rum for those that want.. well.. something different. This rum is just perfect for me, its is smooth, sweet, with almost no burn. It beats appleton estate, wich is much more expensive. Really good sipping rum!! I love Plantation Rums. This rum has great rummy taste, caramel, vanilla in body and finishes nice. For price I tend to drink Diplomatico Reserva Exclusive, Ron Zacapa Solera and Rumson's Grand Reserve more. I prefer them a bit more and half the price, but this rum is still fantastic. I also love the 5 year old Barbados version for a great deal. Perfekt! Der ganze Geruch und Geschmack der Karibik in einem Glas Rum! A very easy and sweet rum: ripe fruit and coconut, with some vanilla. One of my favourites! Heel lekker, zacht, prefect na een zware maaltijd. De ideale afsluiter. A good sipper, but very sweet. Not sure this will be a go-to rum for me, but I'll dutifully finish off the bottle and keep searching for something that comes close to Pampero. Very nice and smooth but I don't think that it's worth the high price. There are cheaper rums that are just as nice. Truly amazing, so sweet without any added sugar, strong taste of vanilla and banana. Explosion de saveur en bouche. Tres doux avec une bonne longueur. The taste is just perfect, and the bottle is nice. My good friend Mark had me over for a rum tasting last night, this was the first I sampled, thoroughly sublime with a slight butterscotch or caramel hint, also a bit of fruit notes. Not overly sweet though, well balanced and smooth, top notch sipper! This, Diplimatico, Papa’s Pilar and El Dorado are my current favorites. Thanks Mark!